You want a travel pants with a pull string. You want travel pants with a loose belt. You want travel pants with no belt. This is a photo of the military cargo pants I wear when out for a long trip, maybe one of them 20-30 hour trips to Thailand. You can see the pants allow for a belt, or if you are skinny, they can hang on your hips. Now, I have never been in the military, and I feel certain the USA military is slowly becoming stupid. What happens, is in the name innovation great idea are replaced by sloppy and poorly thought out ideas. But a huge military contract is award to the wrong company, and the soldier suffers. If you travel the planet long enough, there will come a time when you be like a soldier, and wear the same clothing for days. Many people have worn wet clothing, a pair of wet pants and tried to walk, this is highly uncomfortable. If you can imagine wearing them for three days, than you have an analogous feeling to elastic waist. 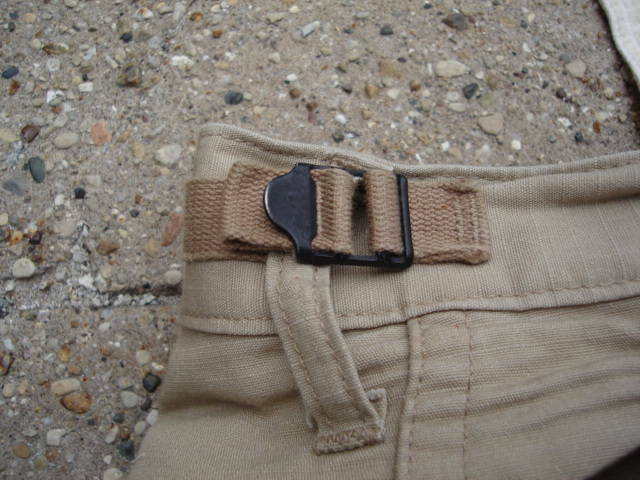 Many pants have stretchy elastic, and the body fights off the stretch. However, after a few days, even a few hours if you are fat, the stretch band will eat into you skin. I am not sure, but I believe this constant tension on your skin or waist cuts off needed blood. I go dropped of by a fishing boat on the island of Koh Taratao in the South of Thailand. I was wearing a pair of elastic gym shorts, I used them for swimming. I was hoping to return the next day, but there was no fishing boats to be found. 3-4 days later, I was trying to decide, do I take these shorts off and walk around naked, I was in great pain. I just drove from Keystone, or Dillon, Colorado in 24 hours in my Maggie Van II. I put on a pair of grey sweat pants, with no underwear, to insure I was comfortable while sitting in the driver seat for 20 plus hours. I am sure many fat people experience great pain because of wearing belts, pants, or clothing that is actually too small. Are you feeling better today Andy? By the way, where are you Andy?